Our durable structures will accommodate the toughest Alaska weather conditions. More interior space, and no columns, posts or interior supports to get in your way. All of our Alaska Quonset Hut Kits are pre-engineered of the world’s highest quality and heaviest gauge commercial U.S. steel available. We also offer a 30 year warranty on all of the Galvalume coated parts. We have 40+ years of experience distributing Alaska Quonset Hut Kits. 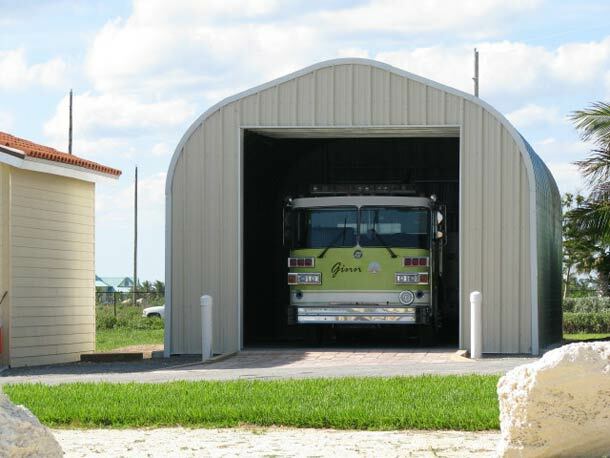 PowerBilt Steel Buildings has some of the most highly trained Quonset Hut experts in the industry ready to answer your questions. Here’s the part that the people of Alaska really enjoy. All of our Alaska Quonset Hut Kits are made right here in the USA, using the highest grade U.S. commercial steel to ensure the best quality and workmanship available. When we ship our Alaska Quonset Hut Kits they are ready to be assembled. Even if you have absolutely no experience what-so-ever, our step-by-step manual will guide you through the process. Virtually anyone can assemble one of our Alaska Quonset Hut Kits, as long as they have the ability to turn a wrench. Everything has already been pre-engineered, and putting it all together is almost as easy as putting together a lego set. There is no need for heavy equipment, which means you can easily work in a tight space. Most of our clients have reported that it only took two people to put the building together. As I mentioned previously all of our Alaska Quonset Hut Kits come with an easy to follow, fully illustrated manual. Depending on your experience and size of your building you may want to give yourself a couple of days to work on it.